Whether you’re visiting the beautiful, historical Mormon Temples or driving through the canyon to a ski lodge, you should have a reliable and durable mode of transportation. At Volkswagen SouthTowne, our Volkswagen dealer near Salt Lake City, UT, we offer you a variety of new, used, and certified pre-owned Volkswagen vehicles. Along with our vast inventory of Volkswagen models, our dealership offers different services including maintenance and financial assistance. We will take care of you and your car from the moment you step onto our lot to years after your purchase! Sedan, compact, SUV, and wagon models are all offered in our new, used, and certified pre-owned Volkswagen inventory. Our wide selection of vehicles gives you an opportunity to choose the car that fits you and your family’s wants and needs. 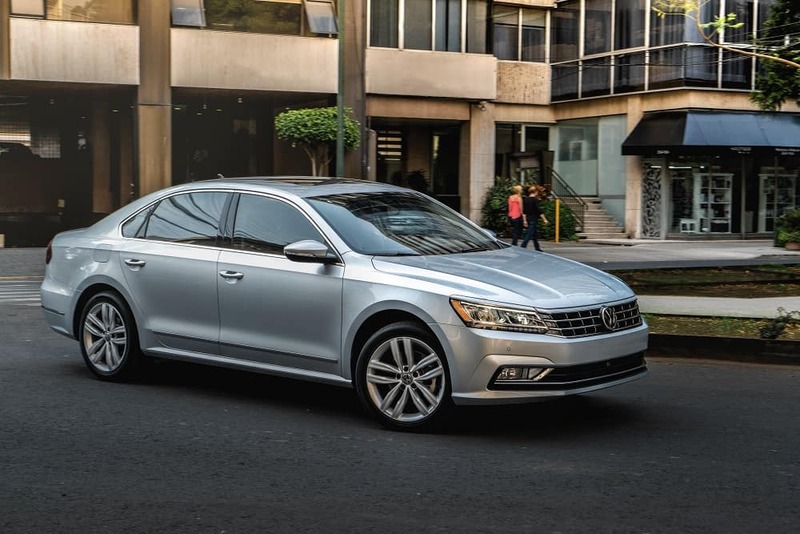 At our Volkswagen dealer near Salt Lake City, UT, take a look at the Volkswagen Jetta sedan with features including cruise control, a back-up camera, and more. Or check out the VW Atlas SUV with all-wheel drive, allowing you to adventure anywhere. Our sales associates will assist you in finding the perfect fit for you and your lifestyle needs. Along with our new Volkswagen models, we also have an assortment of used and certified pre-owned vehicles. We offer you customizable features in each model including Bluetooth® and a hands-free liftgate. Each of these cars has experience on the road and is ready to take you and your family on your next adventure. After choosing the Volkswagen model of your dreams, head on over to our finance center at our Volkswagen dealer near Salt Lake City, UT. One of our financial managers will assist you in finding a finance plan to fit your needs. You will need to provide financial information, so our associates can customize a plan for you. Visit our online finance application to jumpstart the car buying journey. You will fill out a quick form and submit it to our dealership. Once we have received your application, one of our financial managers will create a personalized purchase plan to fit your needs. With our helpful finance department, we also have a handful of changing deals and specials for customers like you! Check out our specials page to see if you are eligible. Is your car in need of a service or repair? You’re in luck; our state-of-the-art automotive repair center offers services from tire rotations and oil changes, to part replacement or repair, and more! Getting your car in optimum condition is important to us, so our trained technicians use top-of-the-line tools and equipment to service your new, used, or certified pre-owned Volkswagen vehicle. Your car will be on the road, in like-new condition, in a jiffy! Schedule your service or repair today with our online scheduler. Get the next available appointment or book an appointment on your time with the clear and simple form. We will have your car on the road in no time! Visit Volkswagen SouthTowne, our Volkswagen dealer near Salt Lake City, UT, to find your perfect ride. Our inventory provides you with a variety of new, used, and certified pre-owned Volkswagen vehicles made for you.